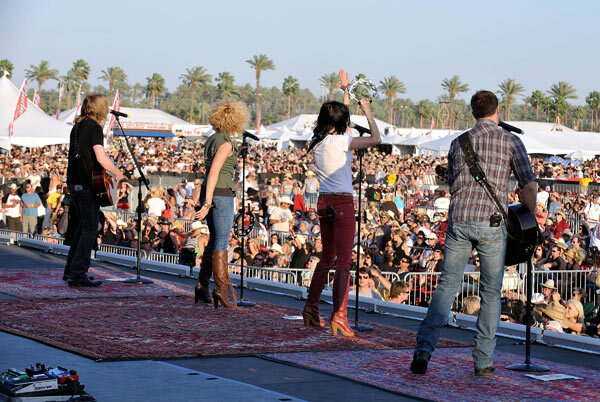 Little Big Town comprises of Karen Fairchild, Kimberly Schlapman, Jimi Westbrook and Phillip Sweet and has had the same four members since it's creation in 1998. The band is perhaps best known for being the opening act for Sugarland during many of their shows although they have also released four albums in the years they have been together. An easily identifiable strength of Little Big Town is their beautiful harmonising skills. A lot of the songs they sing are acoustic but they also bring in drums on songs such as "Fine Line" and "Good Lord Willing". I admire Little Big Town's obvious determination. While they work on getting their name and their music out to the masses they are not afraid to spend time touring as opening acts to bands such as Sugarland or singing backing vocals for artists such as Collin Raye on his album. It is this that really increases the scope of their influence and I'm sure that as a band they will just continue to grow. I have three of Little Big Town's albums and while I would love to be able to pick a favourite one, I find it too hard to do. As with James Deane last week, it is lovely to see that there doesn't appear to be any filler tracks on any of the albums. It seems like each of the songs has had a lot of time and hard work put into them and you can really see the love when you listen to any of their albums. 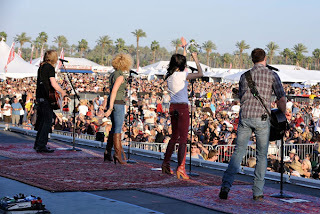 Little Big Town come across as such a tight, almost family, unit and I hope they just continue to grow and grow. Five stars from me!